Is it worth seeing? Sandy Kenyon lets you know! NEW YORK (WABC) -- Joy, sadness, anger, disgust and fear are the major players in Pixar's latest animated feature "Inside Out". 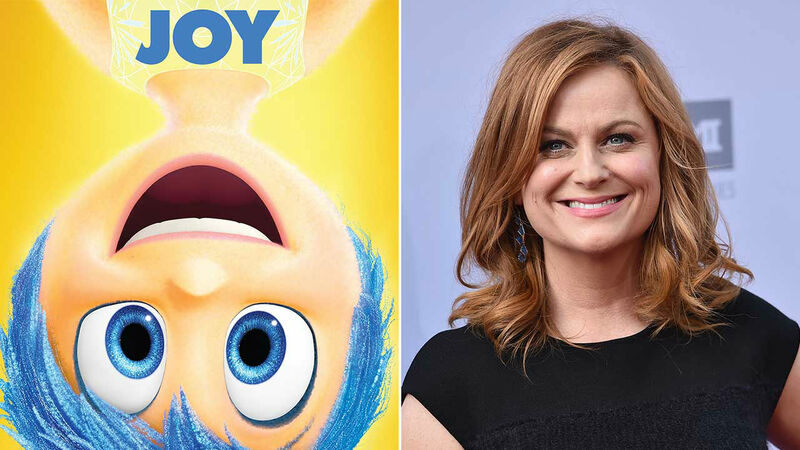 The voice of Joy belongs to Amy Poehler, who does a great job of showing us the brain of an 11-year-old girl. We meet her just as her world gets rocked when her parents move from Minnesota to San Francisco. Everything is not okay, which becomes clear as we listen to the voices inside her head. What could have been a gimmick or a series of sight gags becomes instead an often funny and sometimes profound reflection on what makes us human. "Inside Out" is most stunning when it is most ambitious imagining how long-term memories might get stored or visualizing parts of her personality as islands, some of which start to slip away as Riley nears adolescence. One trailer for this movie links it to Pixar's previous masterpieces - a bold comparison to be sure - but "Inside Out" proves equal to their legacy and their many fans now have a new movie to love. Which Hollywood stars personify our strongest emotions? Meet the characters from 'Inside Out' and the actors who voice them.